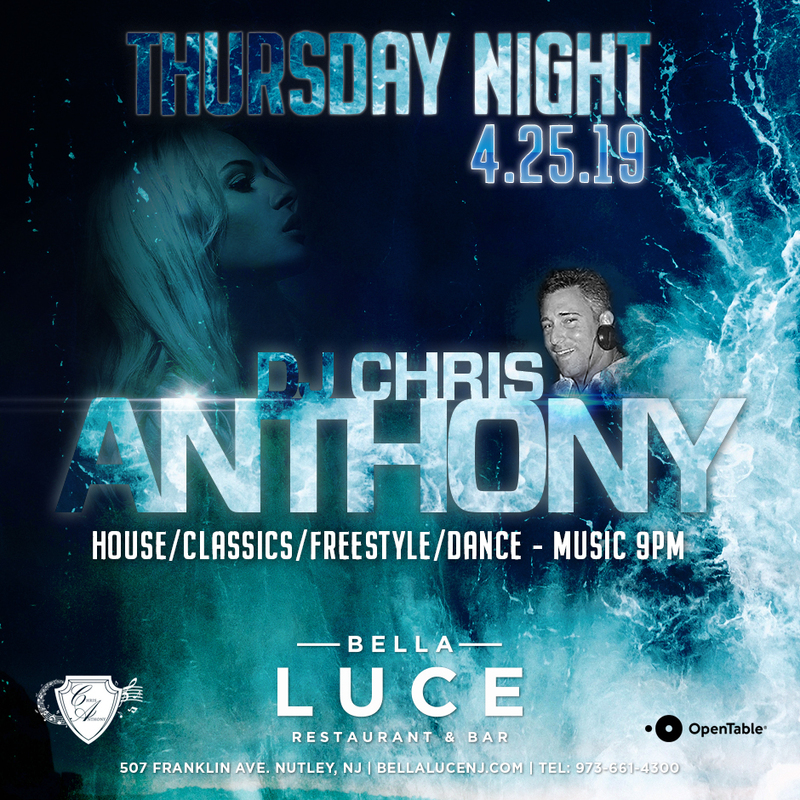 Don’t miss crowd favorite, DJ Chris Anthony back at Bella Luce ‘Tearing it up’ on Thursday Night, April 25th, 2019. A DJ at many of the Jersey Shore’s biggest clubs, DJ Chris Anthony spins the hottest house, classics, dance, and freestyle tracks. Music starts 9pm. Arrive early for dinner and experience one of Chef Erm Firmani’s amazing dishes. Make your dinner reservations today, call 973-661-4300 or book online. Let us know if you’re coming here.